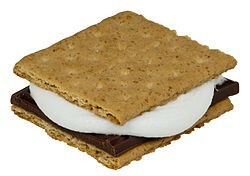 S'more is a contraction of the phrase "some more". Although the exact origin of the treat is unclear, reports about scouts from as early as 1925 describe them. 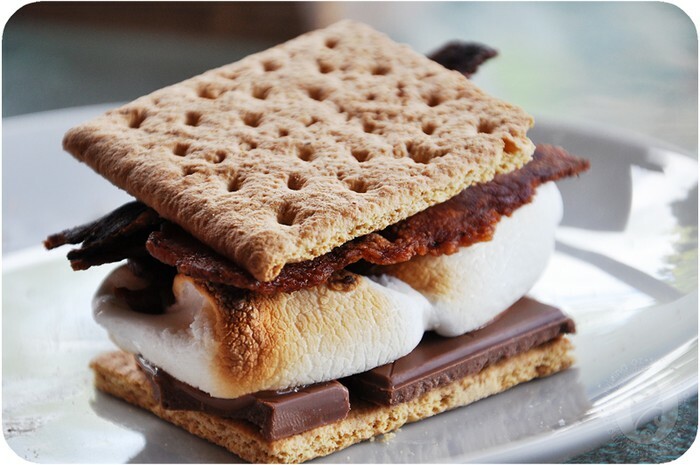 One early published recipe for a S'more is found in a book of recipes published by the Campfire Marshmallows company in the 1920s where it was called a "Graham Cracker Sandwich." The text indicates that the treat was already popular with both Boy Scouts and Girl Scouts. In 1927, a recipe for "Some More" was published in Tramping and Trailing with the girl scouts. 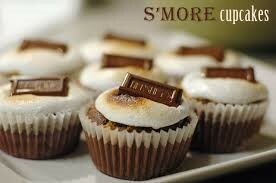 The contracted term "S'more" appears in conjunction with the recipe in a 1938 publication aimed at summer camps. A 1956 recipe uses the name S'Mores, and lists the ingredients as "a sandwich of two graham crackers, toasted marshmallow and 1/2 chocolate bar". The 1958 publication "Intramural and recreational sports for high school and college" makes reference to Marshmallow toasts and S'more hikes as does its related predecessor, the "Intramural and Recreational Sports for Men and Women" published in 1949.